With many schools now starting to run trials on iPads or iPod Touches, I have been wondering how best to manage buying and deploying apps on these devices in an educational setting. There is, of course, a wealth of apps available via the App Store in iTunes (in fact, just recently the 10 billionth app was downloaded). 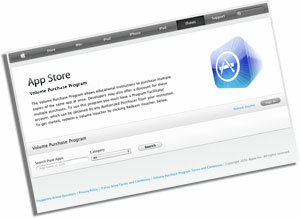 And buying and installing those apps is remarkably simple. Like all things though, the devil is in the detail. 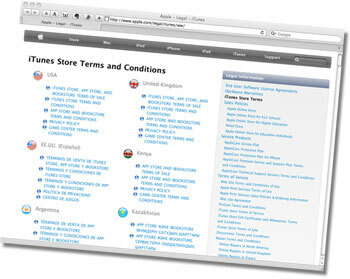 The detail, in this case, is the Terms and Conditions that you agree to when purchasing. (i) You may download and sync a Product for personal, noncommercial use on any Apple-branded products running iOS (“iOS Product”) you own or control. (ii) If you are a commercial enterprise or educational institution, you may download and sync a Product for use by either (a) a single individual on one or more iOS Product you own or control or (b) multiple individuals, on a single shared iOS Product you own or control. For example, a single employee may use the Product on both the employee’s iPhone and iPad, or multiple students may serially use the Product on a single iPad located at a resource center or library. So, for home use you can purchase an app and put it on as many iOS devices as you own or control, but for education, you need to purchase a copy of the app either for each user, or for each device. Fair enough you might say, and I agree. But how exactly do you go about doing that? What about purchasing multiple copies at one time? There is no option in the App store to purchase multiple copies at a time, and once you have purchased an app, if you try to purchase it again, then you get a dialogue box telling you that you already own it, and asking if you would like to download it again. You cannot pay a second time from the same account. If you attach your school credit card to each of those accounts, then you are somewhat exposed in terms of not needing to go through normal auditing procedures to gain approval and make purchases. I am sure the accounts person would not thank you for creating an unnatural number of entries in the accounts system. 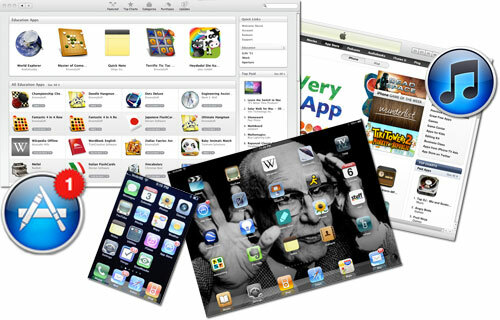 If you owned 50 devices, then each of your 50 iTunes accounts would create one credit card transaction per device for every app you purchased. Twenty apps would create a thousand entries. If you buy iTunes gift cards for each account, you will undoubtedly end up with at least some credit on each one. Multiply that by enough devices and it could still end up being quite a lot of money unspent and sitting in individual accounts. Every time you want to roll out a new app you would need to log into each of those accounts separately to purchase it, and then sync the correct device to that account. To be fair I should mention that if you were in the United States you could register your school or university with the volume purchase program, and then you could purchase as many copies as you like of any app whose developer has agreed for it to be part of that programme. You would then receive codes for each copy that you could use on the individual devices to download a copy from the App Store. Unfortunately, the volume purchase programme is not available outside of the U.S., however. Although deploying apps onto school-owned iOS devices is a fraught process, it does serve to highlight the fact that iOS devices are not designed for multiple users. I believe that their educational potential will only be realised when schools embrace them as single-user devices. I probably should tease out my thinking on this in another blog post. I would be interested to hear what schools (particularly in places like New Zealand) are doing to overcome these issues. I am guessing some will be ignoring, or be ignorant of, them. But I would hope, that along with the greater emphasis on digital citizenship in our schools, there are also greater efforts to comply with the terms and conditions that Apps are purchased under. Research is only for academics…or is it? Is there something you’ve wanted to investigate about teaching and learning but haven’t been sure where to start? Do you think research is only for academics? Have you ever considered the idea that you could be a teacher researcher? Perhaps the TLRI fund could help you to contribute to understandings of teaching and learning. It’s worth thinking about. A little before Christmas, there was the low-key announcement of this year’s successful applicants for TLRI funding. We’ll, it’s one of the education community’s best-kept secrets. I say it’s a secret, because not many teachers in early childhood, primary, or secondary that I know have ever heard of it. This is despite it being available for teachers out there keen to research teaching and learning to apply for. 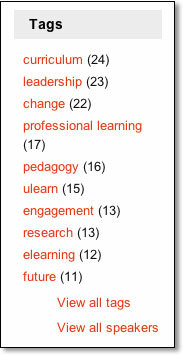 ‘TLRI’ stands for the Teaching and Learning Research Initiative. It’s a funding pool that was set up in 2003, and seeks to ‘enhance the links between educational research and teaching practices to improve outcomes for learners’. 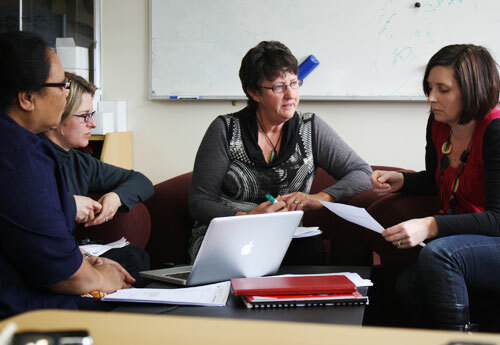 So, research may not sound like it’s for you – but wait – what’s fantastic about the TLRI approach is that it is designed to bring teachers and experienced researchers together to work in partnership. I’m about to participate in my third TLRI project. In each of these projects I’ve had a slightly different role. But the thing I love most about these projects is that they have come from what teachers in early childhood centres and primary classrooms have been really interested in finding out more about. Usually, I’ve been approached in some way (along with others), because they know we are interested in this area too, and then we’ve all worked together to design the project. So, from day one, the projects are collaborative and they’re about the everyday things the group are interested in investigating further. Typically, these projects have nominated lead teachers and more experienced researchers (who are used to doing this sort work, and know all the ins and outs) leading the way. Others get involved along the way. The good thing about having experience in the mix is that when it comes to things like ethics, analysis, and writing, those with the experience can guide others new to research through these steps. A key to the approach we’ve always taken in the past is: the teachers we work with are not being researched; rather, they are being researchers. I think most of the teachers I’ve worked with never saw themselves as researchers in the beginning—but they certainly do now. The second one we are just finishing now. It’s a two-year project about children’s working theories in action in five playcentre settings. We’ve published a few articles on this project now, and there are a couple more to come. A new project has just been announced, and is about learning journeys from early childhood into school. This is a three-year project and will be based in two early childhood settings and two schools that have been keen to explore this topic in more depth for a while now. Expressions of interest for the funding for 2012 open on March 1 2011 and close on May 11 2011, so it’s time to act. If you want to talk to a member of CORE’s research team about the fund, or a possible project, get in touch. Who knows, maybe you’ll be a teacher researcher before you know it. The EDtalks collection of video clips is a great source of material for the beginning of the year staff meetings and planning sessions in school. The EDtalks videos have been taken at education conferences, schools and institutions around New Zealand over the last two years. They have proved to be a useful source of new ideas, current research, practitioner experience and advice, as well as a way to learn about new trends and initiatives in schools. The video content is collected in channels . The main EDtalks channel features videos collected from schools, early childhood centres, seminars, and workshops during the last two years. 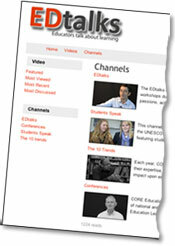 The conference channel features clips from the various events that CORE Education hosts, organises or records on video. The Ten Trends channel features CORE’s prognosis on the coming ten major ICT trends that will make an impact upon education. The most effective way to explore video material is by using the tags. For example, you may be planning to review your school’s cyber safety strategies – there are 7 clips tagged “netsafe”, 5 tagged “digital literacy”, and 4 tagged “digital citizens”. Once you have selected useful clips, they can be downloaded and used in your planning meetings, or sent out to teachers as a link for them to view before the meeting. 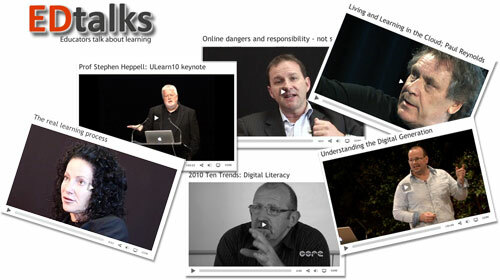 In addition to the videos themselves the Edtalks site has background information about major events such as ULearn and the Education Leaders Forum, as well as notable speakers, such as Ewan McIntosh. The CORE Education media team will be at the 2011 Learning@School conference in Rotorua in late February recording another 30 interviews. To keep up with the latest additions to the EDtalks site, including these new clips from Learning@School, you can subscribe in iTunes or to the EDtalks newsletter that is distributed each term.